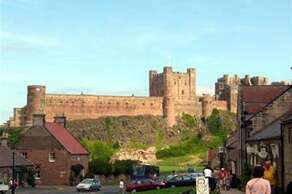 Spanning 9 acres of land on its rocky plateau high above the Northumberland coastline, Bamburgh Castle is one of the largest inhabited castles in the country. The Barn at Beal has a Visitor's Centre, Restaurant and Coffee Shop. 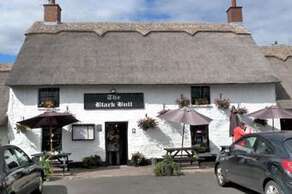 It is situated at Beal Farm, a short distance from Berwick-upon-Tweed and opposite Holy Island. 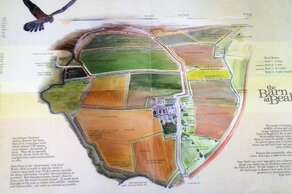 With a Guest House next door, superb views over Holy Island and wonderful home grown food it is a place not to miss. 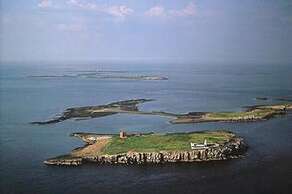 Taking a boat trip with Billy Shiel out to the Farne Islands during the spring is a real highlight. 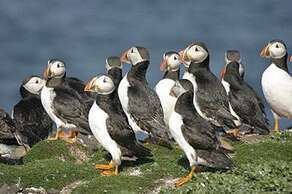 Birdwatch Northumbria run local birdwatching tours on Holy Island, Seahouses and up in the Cheviot Hills. 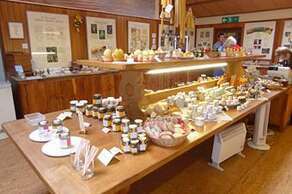 Started in 1948 by William Selby Robson, this family business has a lovely Visitors Centre with products relating to bees close to Berwick on Tweed by the Union Bridge. Old Farm Machinery is housed in the grounds. 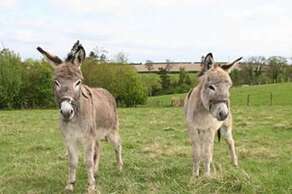 The Scottish Borders Donkey Sanctuary provides a caring home for donkeys and mules in need of love and attention. Babingtons Cottage sponsors two donkeys Twinkletoes and Sweetpea. 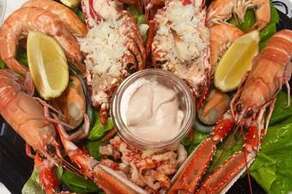 The Farne Islands lie 3 or 4 miles off the Northumberland Coast and midway between the fishing village of Seahouses and and the magnificent Bamburgh Castle. As well as being the most famous Sea Bird Sanctuary in the British Isles there is also a large colony of Atlantic or Grey Seals. Gunsgreen House was built in 1753 by local smuggler John Nisbet of a John Adam design. Inside the house are secret hiding places for the smuggled goods. 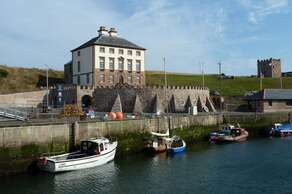 The house overlooks the glorious fishing village of Eyemouth and houses an interesting museum. 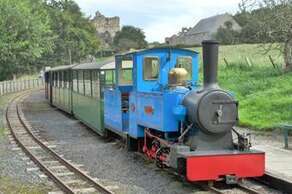 A 15" guage steam railway running from Heatherslaw, 6.4 km to Etal Village - a return journey journey of 50 minutes. 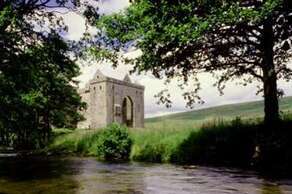 The Castle is semi-ruined and near Newcastleton. 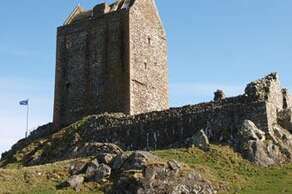 Built around 1240 it is one of the most sinister places in Scotland. Its name is thought to be derived from the old French word "l'armitage", meaning "guardhouse". By Boat - this excellent unforgettable trip lasts 4 hours including the 2 hours spent on the island. Commentary is given en route. 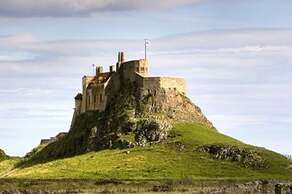 By Car Holy Island (Lindisfarne) is a tidal island and vehicles can only cross the causeway when the tide is open. 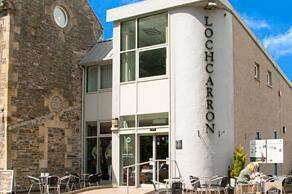 Opening times vary significantly every day and you should familarise yourself with the causeway opening times for the day of your visit! 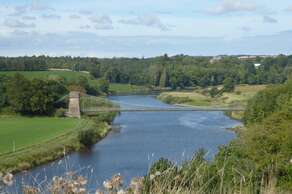 Kelso Race Course opened in 1822 is described as 'one of Britain's friendliest Race Courses'. Voted the 'best small Course in Scotland and the north of England in 2007, 2014 and 2017. It stages National Hunt Racing from September to May. Tel:01573 221221. The history of mead goes back into the aeons of time. It is without doubt a strong contender to be classed as the ancestor of all fermented drinks. A wonderful experience to visit the shop on Holy Island. A late 16th Century Tower in the centre of the historic town of Jedburgh reflects the proud association of the town with Queen Mary who stayed here in 1566. Anthony Babington (1561-1586) was convicted of plotting the assassination of Elizabeth I of England and conspiring with the imprisoned Mary, Queen of Scots. The Babington Plot and Mary's involvement in it were the basis of the treason charges against her which led to her execution. Anthony Babington is related to Maggie Babington, the present owner of Babington's Cottage. 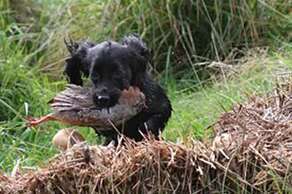 The area provides excellent pheasant, partridge and duck shooting. This well preserved 16th century tower near Kelso has an exhibition of tapestries and costumers. Sir Walter Scott drew many of his inspirations from Smailholm where he spent much of his childhood. 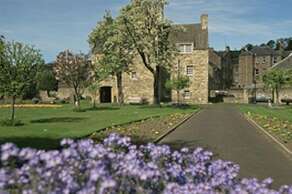 He is buried at nearby Dryburgh Abbey. Step back in time to the beginning of last century. 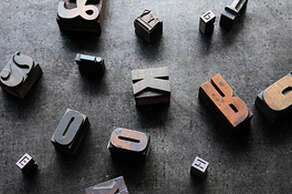 Try typesetting by hand and watch the printing at work. A delightful shop situated in the Hirsel Country Park. 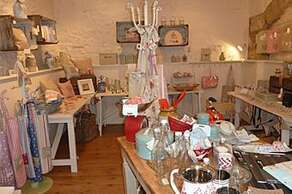 Angela Clay-Parker has a charming array of home accessories, lighting, childrens items and fabrics. Items can be personalised and commissions undertaken. The Union Chain Bridge was completed in 1820 and was then the longest suspension bridge in the world. It is still the oldest suspension bridge. and still open to traffic. With a population of only 100,000 and hills rising to over 2,700 feet the big open spaces are a paradise for mountain bikers, cyclists and walkers. 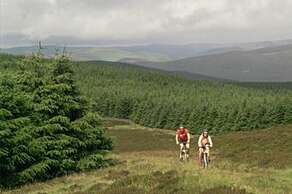 The local tourist boards provide information on cycling and walking routes. 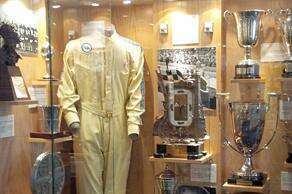 To commemorate the 25th anniversary of Jim Clarks death in 1993 , Berwickshire District Council refurbrished the room to provide a museum. The worlds motor racing champion was killed on the 7th April 1998 in an unimportant F2 race at Hockenheim, Germany.